The Michigan Adult Foster Care Association is a State Registered Association that is Advocates to the Adult Foster Care Community. We assist all of our Local Adult Foster Care Homes and Assisted Living Centers with DHS, State Approved Contact Hours and CPR / First Aid, Bloodborne Pathogen Training. There is never no charge, nor membership fees. MAFCA was founded by a Wound Care Nurse named Denise Atkins. Denise is aware of the hard work it takes to manage and run Adult Foster Care Homes. She Started this program to assist with training and services that are cost free. She experienced herself first hand the "high prices" for training and assistance, and vowed to make a change. 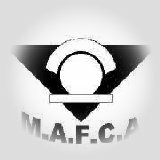 M.A.F.C.A. is a support group to owners and workers to communicate with other that are in similar situations as well as discuss ways of keeping your facilities full. MAFCA is now run out of 4 Counties. Lapeer, Genesee, Midland and Oakland. With the assistance of others, MAFCA can grow. We are quickly being recognized by discharge planners and social service employees in all the local Hospital's and Nursing Homes as Patient Advocates. We proudly recommend AFC's. MAFCA not only assists with State Approved Contact Hours, but also with Citations, Plan of Corrections, Medication assistance, and Marketing needs. We gladly assist with brochures, webpages, and / or business cards. We are here for you! Call us today to find out when the Monthly meetings are and what classes are held that month. Classes can also be done in your facility!